Pure Aromatherapy Perfume is Easy! Natural Aromatherapy Perfume means that you can be a goddess by making some simple blends. To me, just having the scent is not enough. The FEELING has to go with it. I was in a large department store the other day and the sales assistant gave me some samples of "perfume" on a card. The first one, he insisted, had strong notes of bergamot. All I could smell was the chemicals. He sprayed it on my skin and a little while later, it really smelled fake! I didn't feel good. I didn't get the therapeutic benefits that I would get wearing essential oils. OK, so you just want some blends that smell great. That is so possible! Where do you think the perfume manufacturers copy their fragrances from? Pure, natural essential oils. But theirs are copied and made in a lab - really cheap! » Share your own beautiful aromatherapy perfume recipe here. 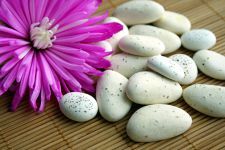 » Read contributions to aromatherapy perfume recipes here. Essential oils can be grouped by their main scent. The most common are citrus, spicy, floral, woody and earthy. Here are some lists to help you decide which essential oils belong in each category. So now you are ready to make your own perfume. There is one other point to consider and that is about top, middle and base notes. Top notes should make up the bulk of the blend. Middle notes about fifty percent of overall number of drops and then only a drop or two of the base note. Here is an example of how to choose a great blend of aromatherapy perfume. 4 drops of orange essential oil - for its uplifting properties. It is also a top note so I use more drops. 2 drops of lavender essential oil - for its balancing properties. It is a middle note so I use less. 1 drop of cinnamon essential oil - for its grounding properties. It is also excellent for feelings of exhaustion. Being a base note, one drop is all you need. Aromatherapy perfume blends must be mixed with a carrier oil! Cinnamon Essential oil can cause a skin reaction so make sure essential oils are diluted and test first. 10mL of essential oil is a good amount for the number of drops in this recipe. I love using sweet almond oil as it doesn't have any perfume of its own and won't interfere with the blend. 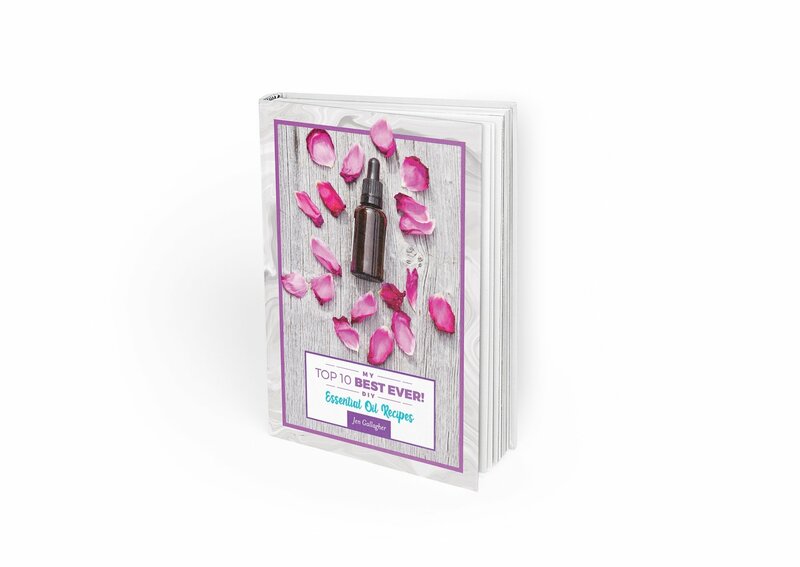 Of course this is only a guide and when you make an aromatherapy perfume you will know that it smells great. You will develop you favourites! You will feel like an Essential Oil Goddess! I ONLY USE THERAPEUTIC GRADE ESSENTIAL OILS. Read why here.